Tough Love in CIVIL WAR AND BROKEN HEARTS–Review & Giveaway! Hi there! Today I’m sharing a review for a new contemporary M/M cozy mystery/romance from Julie Lynn Hayes. CIVIL WAR AND BROKEN HEARTS is the second book in her Rose and Thorne series. It’s the sequel to BAD DOGS AND DRAG QUEENS and features the continuing misadventures of Federal Agents Vinnie Delorosa and Ethan Thorne as they protect a starlet from a dangerous stalker. Check out the excerpt, review and get in on the gift card giveaway below! This is the second book in a series, but can be enjoyed on its own. It’s a sweet and fluffy buddies romance between two long-term partners, Vinnie and Ethan, who also are work partners. What you need to know about the series: They are some type of fictional federal agents that go undercover to help the police. Essentially, Vinnie will get put into a dress, and Ethan will help him out of it. And, some other plot things will happen. That’s been the case for the first two books. In this book, starlet Caroline St. Clair is in Roanoke to film some on-location scenes for the Civil War-era epic she’s working on. She recently split from her fiance, the director of the film who’s flaunting his new younger fiance right under Caroline’s nose. Ethan helps thwart a shooting when he and Vinnie find Caroline out and about in Roanoke. She thinks it must be her stalker, but no one can trace his (now deleted) threatening emails. Caroline gets Ethan assigned to serve as her personal bodyguard, claiming he’s her fiance to cover his appearance in her life. And this about sets Vinnie’s head to explode. Vinnie’s assigned as a personal assistant to Caroline’s beautiful, out-and-proud, co-star, Troy McGarrett. Troy’s helpful, but doesn’t mind helping himself to some of Vinnie, if the opportunity arises. I pretty much had this one figured out from the start, but I liked how it all played out. There’s a ton of cattyiness, and Vinnie’s his usual chatty narrating self. Troy was super cool, a good friend and support to Vinnie, throughout. I also liked how our homophobic foe from the first book got a bit more humanized in this one. Ethan’s about beside himself, fending off Caroline’s unwanted advances and keeping Vinnie from making many, many professional mistakes, though we still don’t get a lot of his personality on the page. The next book seems to have a lot more of Ethan, however, so I’m looking forward to that. If you like low steam romance and fluffy cozy mysteries with lots of snarky banter, I think this will hit your sweet spot. Interested? You can find CIVIL WAR AND BROKEN HEARTS on Goodreads, Dreamspinner Press, Amazon, Barnes & Noble, and AllRomance. 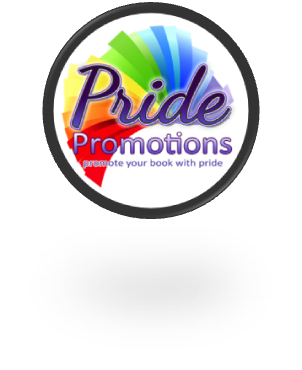 Click on this Rafflecopter giveaway link for your chance to win a gift card to Dreamspinner Press. Catch up with Julie on her blog, Goodreads, Facebook and twitter. Thanks so much for having me here today! And I’m so happy you enjoyed the book! You are correct – you will learn much more about Ethan in the next book.